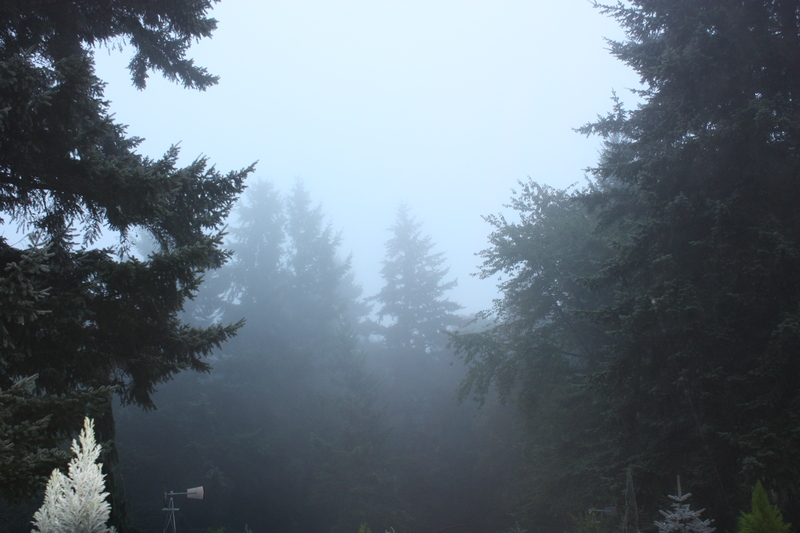 After a restless night, I woke to a gloriously foggy morning. Eventually the fog burned off and the day turned sunny, but I prefer the fog. I worked at Student Link and nearly got all the papers marked. Now that my tasks have been pared down to “just” marking papers and helping students, I think things will be do-able. I managed to mark nearly everything today and I’ll finish the rest on Tuesday. After lunch I went to my therapy appointment, and then came home to tutor a couple students. My work week is nearly over, thankfully. Beautiful misty picture. I have had some retless nights recently too – must be the weather! Thanks, Libby and may we both sleep soundly!